The following hours of the world title of Alejandro Valverde have shown the great attachment that thousands of fans profess towards him. After the exciting celebration in Innsbruck with teammates and staff of the Spanish Federation, Valverde landed in Madrid Monday at noon, where the media awaited him for a first press conference. From there, directly to Distrito Telefónica. José María Álvarez Pallete, president of the company, received the Murcian in a warm ceremony at the headquarters of the company that sponsors Alejandro’s team since 2011. The next stop was the Superior Council of Sports, where the minister José Guirao and María José Rienda were waiting. Back in Murcia, Alejandro visited on Tuesday the headquarters of the regional government and the city council of the capital. 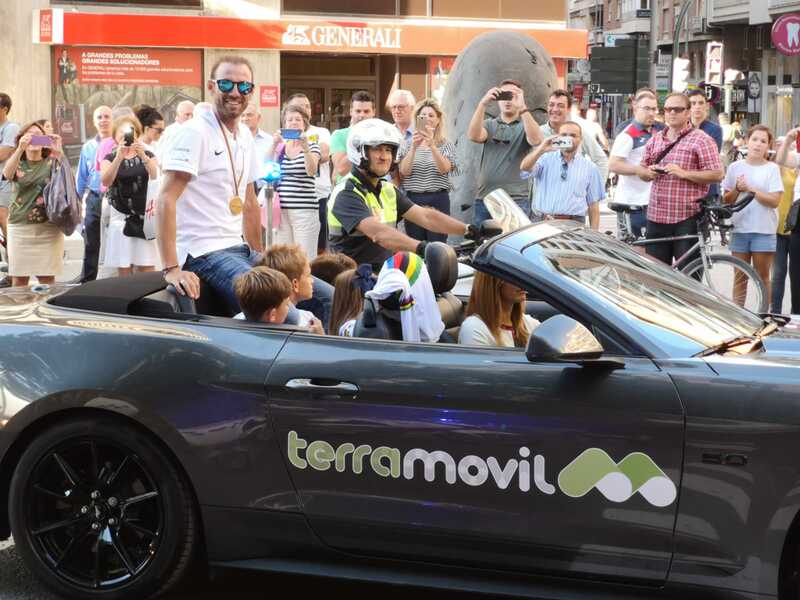 In between, a spectacular cyclist ride with hundreds of fans accompanying Valverde from their bikes, served to show the appreciation of his countrymen for the best Murcian athlete in history.